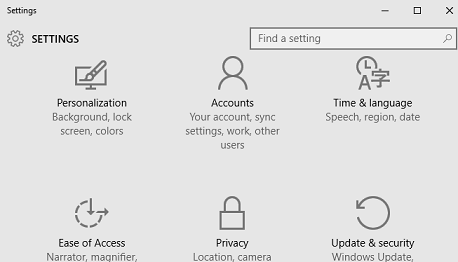 In Windows 10 you can use your Microsoft account (outlook.com or hotmail.com) as your computer login account. 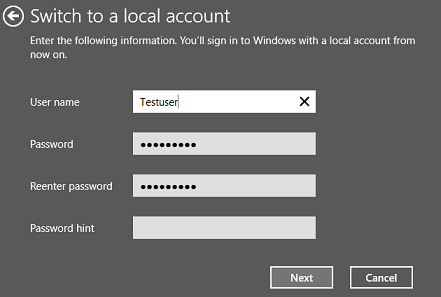 If you want, you can also change to local login account on your computer using below quick steps. Navigate to "Accounts" -> "Your account"
Click on "Sign in with a local account instead" link. 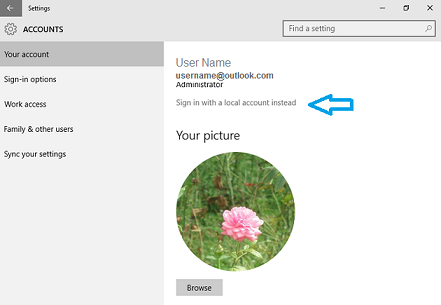 In "Switch to a local account" window enter your current Microsoft account (outlook.com or hotmail.com) password and click "Next". 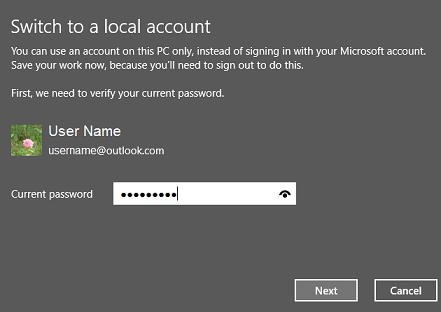 Enter "User name", "Password", and "Password hint" which you want to use for your local login account and click "Next". Click on "Sign out and finish" button to complete the process. 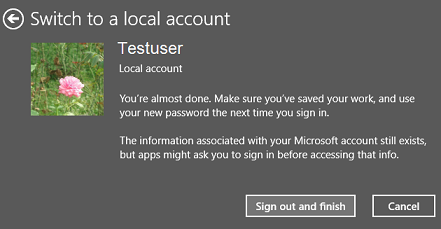 You can use your new local login account and password next time you sign in on your Windows 10 computer.